Based out of our London office, Jean-François is a Partner of Quilvest Private Equity within the Funds and Co-investments team with a focus on Europe. 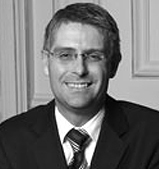 Jean-François is a member of the Development Markets and Emerging Markets Investment Committees. He also sits on the Advisory Board of various PE funds. Prior to joining Quilvest, Jean-François gained seven years of management and strategic consulting experience as a Senior Associate Consultant with Bain & Company and a Junior Engagement Manager with McKinsey & Company. At McKinsey, Jean-François worked with several European private equity funds in various industries, in particular the media and consumer goods sectors. His assignments included strategic and market due diligence, and merger and acquisition valuations. Prior to his consulting career, Jean-François worked for two years as an Analyst at Société Générale in São Paulo, Brazil. Jean-François is a graduate of HEC (Ecole des Hautes Etudes Commerciales) and holds an MBA from Columbia Business School.